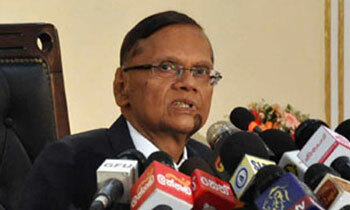 The government has made contradictory statements regarding the appointment of High Court Judge Ramanathan Kannan making one wonder whether it was a political appointment, former MP G L Peiris said today. He said he had previously practised as a lawyer in the Baticaloa courts. Justice Minister Wejeyadasa Rajapakshe had said recently that political party was keen on appointing the particular person to the position,” Mr. Peiris said. He said the Judicial Services Association (JSA) had met the Chief Justice who had reportedly said Mr. Kannan was nominated by President Maithripala Sirisena. This entry was posted on Tuesday, February 14th, 2017. You can follow any responses to this entry through the RSS 2.0 feed. You can skip to the end and leave a response.